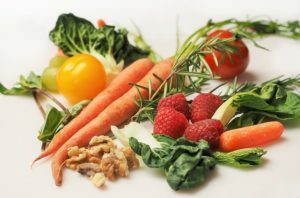 Everyone knows to eat your green leafy vegetables, avoid fried foods, and basically follow a Mediterranean food plan. 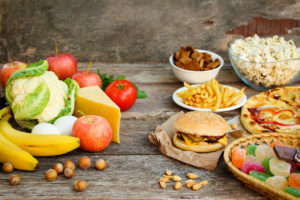 But there are some surprising details about certain foods and drinks that can help improve insulin sensitivity, so you can give your body the best chance it has to defy diabetes. Foods to choose and foods to lose. A great deal of research has demonstrated that drinking plain green tea may make our cells more sensitive to insulin. Black tea has shown positive effects as well, although green tea is the clear winner. Increasing insulin sensitivity is especially crucial for type 2 diabetics as their cells can become resistant to the work that insulin performs. Increasing this sensitivity helps the cells metabolize sugar more effectively, which can help keep blood sugar levels within a normal range. 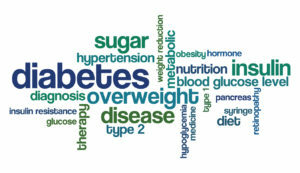 Inflammation is closely linked to the development of type 2 diabetes. If that inflammation goes on for a long time in your body, you get chronic inflammation. This is strongly associated with insulin resistance and obesity itself. Do Desserts. Just Do Them Right. In order to control sugar consumption, often diabetics will feel like they have to avoid desserts altogether. This is just not true. They will need to avoid simple sugars, but there are many wonderful options that are low in sugar and do not require a lot of effort. Dark chocolate with some nuts or nut (or seed) butter. Baked peaches or pears topped with melted dark chocolate. The bottom line is that some foods can tilt your physiology in a healthy direction, while other tilt it in an unhealthy direction. Know which is which is critical to sustaining a healthy glucose balance and defying diabetes in your life. Here is an easy to make nutritious and delicious side option. Wash and scrub potatoes leaving the skins on. Lay onto a cookie sheet and bake for 30 to 40 minutes. Stir them halfway through cooking. Submitted by Linda at Eckert Seamans Thank you Linda! Place each chicken piece, boned side up, between 2 pieces of clear plastic wrap. Working from the center to the edges, pound lightly with the flat side of a meat mallet to 1/4-inch thickness. Sprinkle chicken with black pepper. 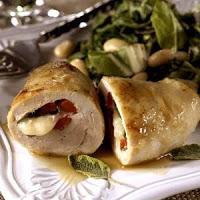 Layer cheese, roasted red sweet pepper halves, and sage in the center of each breast. Fold in edges; roll up into a spiral, pressing the edges to seal. In an 8-inch skillet heat the oil over medium heat. Cook chicken in hot oil about 5 minutes, turning to brown all sides. In the same skillet bring wine or broth to boiling; reduce heat. Simmer, uncovered, about 2 minutes or until 1/4 cup liquid remains. Cover and simmer for 7 to 8 minutes or until chicken is tender and no longer pink. Plate the chicken and spoon the sauce over it. Mindfulness is the psychological process of bringing one’s attention to experiences occurring in the present moment, which can be developed through the practice of meditation. Can mindfulness help reduce the risk of type 2 diabetes (T2D)? A number of research articles, like this one, show that those with higher “Mindfulness Scores” have lower risks of having T2D. But read beyond the title and into the thick of the paper. These authors correctly point out that this is a correlation only. Those who are more mindful ARE less likely to have T2D, but why is that? It it just practicing mindfulness that reduces risk? Or is it something that mindfulness does for you, that allows you to reduce risk. One possibility comes from the research literature: those who have higher Mindfulness Scores also tend to follow through on health regimens, diets to help control weight (80% of T2Ds are overweight or obese), and activity programs. 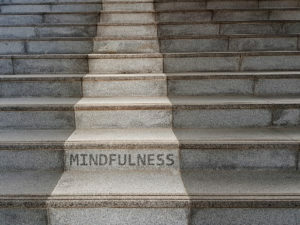 In other words, mindfulness may be a key tool to can help patients follow through on the healthy lifestyle behaviors. Based on this theory, the healthy lifestyle behaviors such as eating well, being active, and controlling stress actually reduce the risk of T2D. Greater mindfulness may just make those easier to follow through on. Think of it like one step on the path. Once you’re there, it helps you get closer to a healthy body and healthy mind. Let’s just put this into perspective: Diabetes is reported as the underlying cause of death on 79,535 death certificates, and 252,806 list it as a contributing cause. That makes it the 7th leading cause of death in the United States. Do you have this disease? If you did how would you know if you did? The symptoms are not obvious, and short of going to a physician and getting your blood tested for its glucose levels, it can be hard to tell. In this article, we’ll talk about the common symptoms you need to be aware of. Keep in mind, that most of these symptoms may seem perfectly benign, or may actually be symptoms of some other condition altogether. The Blahs: Your body needs you to convert the food you eat into energy. After digestion happens and that fuel gets absorbed into your blood, glucose is suppose to get into your cells where they’ll use it do its work. For diabetics, your body has trouble getting that energy into your cells, so you may feel more hungry and tired than usual. Fluid Loss: On average, a person has to urinate between 4 and 7 times per day. But diabetics have higher levels of sugar in their blood, which affects the kidneys by making them produce more urine. So if you are diabetic, you may have to pee more often. This, in turn, has other downstream effects as well. It can make you thirstier. You can get dry mouth. You can get drier, itchier skin. You can get blurred vision, as the fluid loss can make your eyes change chap and lose their ability to focus. Long Term Changes: If you have had high levels of blood glucose for a long time , both men and women can experience increased numbers of yeast infection, nerve damage that can cause sores to be slower to heal, and pain or numbness in your feet or legs.The bottom line is to notice when you perceive any of these signs, and then reach out to your doctor for advice. Couscous is a featured grain in many regions of the Mediterranean. Enjoy this side dish as a complement to some grilled fish. Add the butter, couscous, salt and pepper, garbanzo beans and zucchini. Remove it from the heat and allow to stand 5 minutes. Stir with a fork to fluff up and season with salt and pepper to taste. Submitted by Jesse from Westinghouse. Thank you, Jesse! Got a recipe you’d like to share? Please email it to nutrition@willclower.com. We’d like to share your favorites with our community. In a shallow dish, mix together flour, salt and pepper. Dredge pork cutlets in the flour mixture. In a large skillet, melt butter over medium-heat. Add chops, and brown both sides. Transfer to a warm plate. 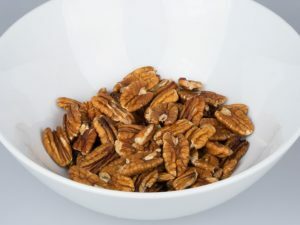 Mix honey and pecans into the pan drippings. Don’t overcook pork or sauce.